Not your average teen romance. When was the last time you watched a really good romantic movie? In a time where the box office is dominated by superhero and action movies, we feel like we need to take a little breather from all the alien-killing and building-jumping action. What we need right now, we feel, is a good ol' cry-out-loud romantic movie to make you feel some feelings, don't you think? Well, enter 'Five Feet Apart'. 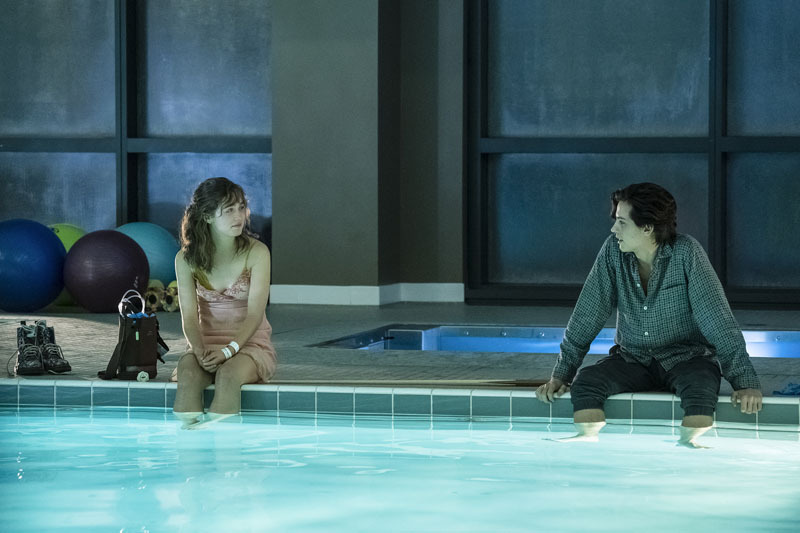 'Five Feet Apart' is a teen romance movie based on a novel of the same name written by Mikki Daughtry, Rachael Lippincott, and Tobias Iaconis. It tells the story of two teenagers, Will and Stella, both cystic fibrosis patients, who fell in love with each other while they are undergoing treatment in the hospital but due to their conditions, they can never be together. If this short synopsis is any indication, yes; it's a sad love story and we are pretty sure that you know in your heart that these types of love stories typically don't have a happy ending. But it's that exact reason why we loved the movie so much. In a world where we are exposed to the idea that a good love story must have a fairy tale ending, 'Five Feet Apart' has no trouble at all throwing that notion out the window because, hey, life can be cruel sometimes. Brief science/medical lesson: cystic fibrosis (CF) is a genetic disorder that affects the lungs, pancreas, liver, kidneys, and intestine. The disease causes persistent lung infections and over time, limits the patient's ability to breathe due to the build up of mucus in the lungs. The mucus blocks the airway and traps germs and bacteria, hence increasing the chance of patients getting a lung infection, which in turn could result in respiratory failure. For that reason, CF patients always have to be six feet apart from each other to reduce the risk of cross-infection, as contracting bacterial infections from other CF patients can be life-threatening. And this sets the premise for 'Five Feet Apart' (they'll explain in the movie why it's not called 'Six Feet Apart'). 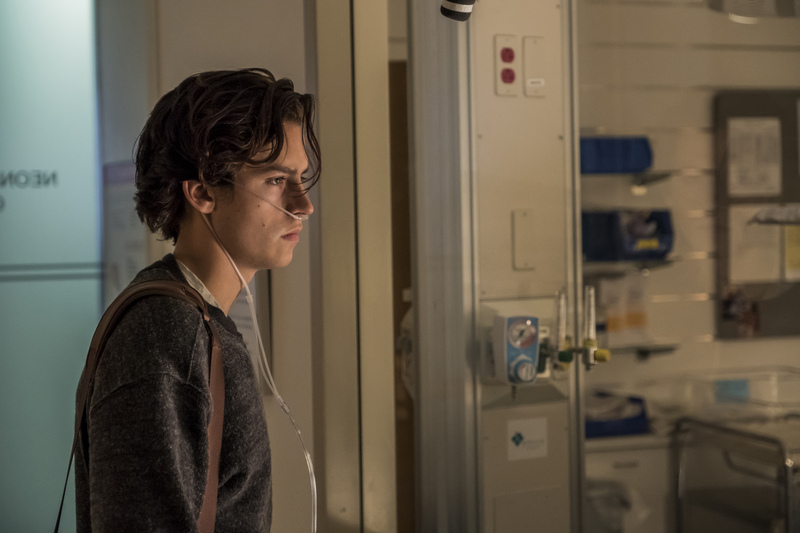 Cole Sprouse, from 'Riverdale' fame, plays Will, a teenager who's in the hospital for a medication trial to get rid of the B. cepacia bacterial infection he has in his lungs. Will is the type who likes to break the rules, take unnecessary risks and has already subscribed to the fact the he's going to die soon, so he obviously wasn't going to put so much effort into getting better. 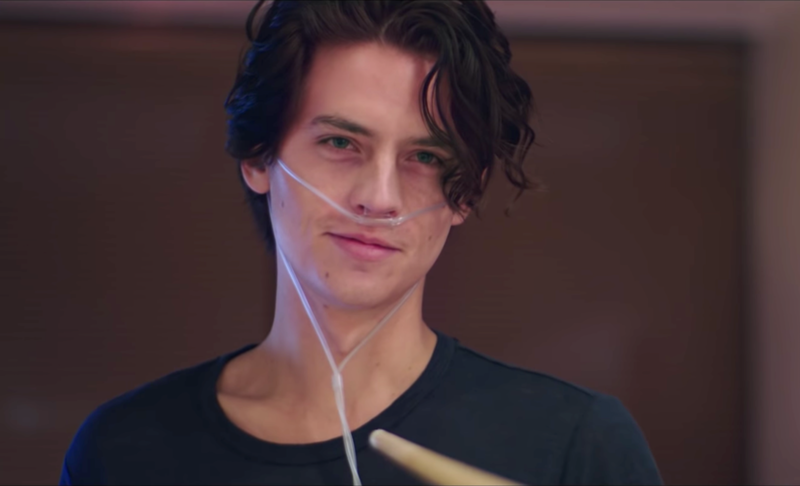 Cole brings a certain charm to the character (enough to make all the girls in the cinema swoon, we noted) and if you follow 'Riverdale', you'd know that he would have no problem pulling off that whole emo, eff-the-world bad boy charisma. 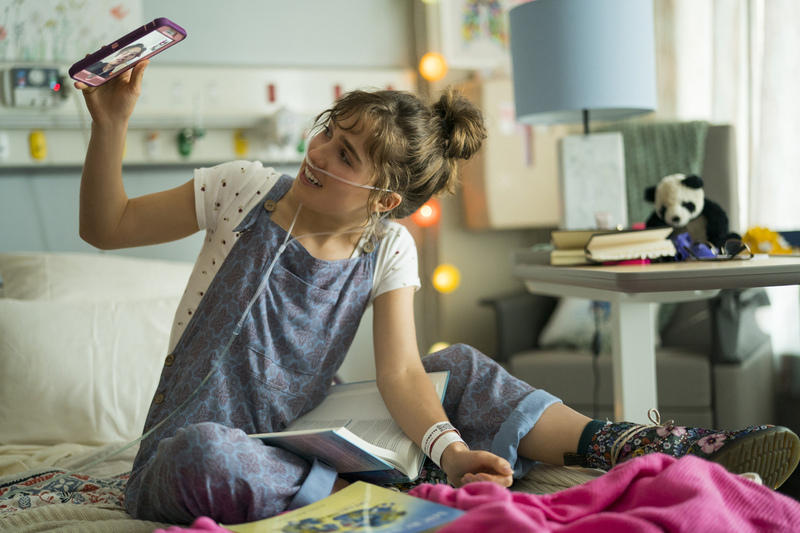 Stella (played by Haley Lu Richardson), on the other hand, is the total opposite of Will: she lives her life by the book, always obeying the rules, functions on a strict regime and generally, just a ball of positivity. She is determined to beat the disease, and she's not going to let anything or anyone ruin that goal for her. Naturally, when boy first meets girl, things didn't go to well due to their clashing personalities. But as the movie progresses, we can't help but get invested in their relationship, thanks largely to Cole and Haley's on-screen chemistry. We found ourselves cheering them on, but at the same time, not wanting them to get together (ugh, much struggle!). 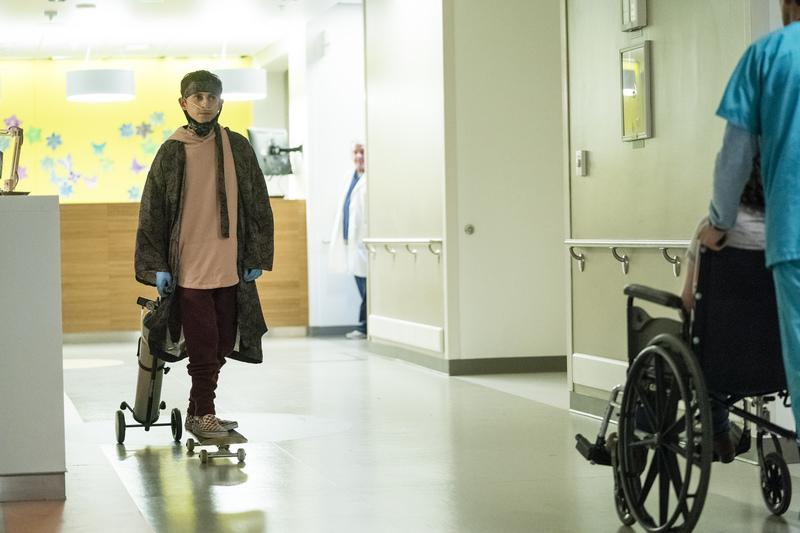 But what we loved most about these two characters is seeing them try to change for each other: Will now takes his treatments more seriously and Stella trying to, well, live her life without constraints. Here's the thing you need to know about the movie: it will wreck you emotionally. Will you cry? Do you even have to ask? There's no way you're leaving the cinema with dry eyes (unless you have no eyes), so remember to bring a box of tissues if you cry easily at the movies. As expected of a romantic movie, there are some really heart-warming, lovey-dovey scenes that will make you go 'aww' and smile to yourself like a fool. To break the tension, there are also scenes that will make you laugh out loud. The role of the jester, Poe (Stella's childhood friend and fellow CF patient), is played by Moises Arias, who did a fine job at making us forget about the imminent outcome of the movie with his clever one-line wisecracks. But what we totally didn't prepare for were the scenes that will make you extremely anxious and have you holding your breath, and there are lots of them in the movie. That feeling of not knowing what will happen in the next scene got the better of us a couple of times, and the collective gasps we heard in the cinema confirms the fact that it wasn't just us who felt that way. At the end, we left the cinema in a state of disarray. We have a feeling you would too. Watching 'Five Feet Apart' gives us a new perspective in life. Because we are able bodied and healthy, we take things like love and dare we say, our life, for granted. Watching how Will and Stella navigate their lives -- falling in love and interacting with a forced distance between them -- puts your whole life into perspective. That feeling of 'close, but not too close' shows us just how lucky we are to be able to hug and kiss our loved ones. It also shines the light on those who are suffering from CF: the ordeal they have to go through, the pain and the struggle to live a normal life and the unpredictability of their lives itself, not knowing when the breath they take could be their last one. We appreciated how the movie breaks down what CF is in layman's term through Stella's v-logs on YouTube. They don't bore you too much with medical jargons; just enough to give you a sense of what's at stake for our young star-crossed lovers. 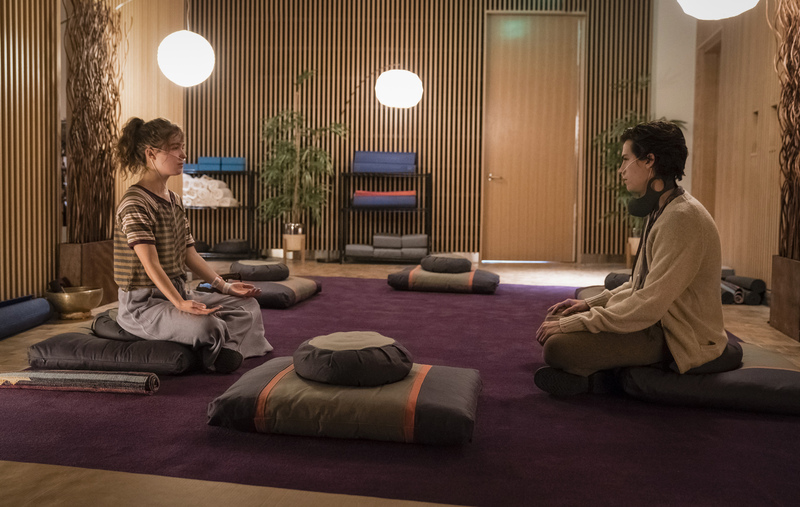 'Five Feet Apart' is a romantic movie, yes, but it also serves as a wake up call to how fragile our life is. The movie makes you think, but most of all, it makes you question your life choices. Oh, in case you didn't know, there's a couple in real life whose love story mirrors that of 'Five Feet Apart' (and 'The Fault In Our Stars', of course). 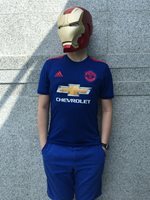 It's a pretty interesting read. If you're looking for a romantic movie full of cheesy romantic lines and a happy ending, 'Five Feet Apart' is not for you. But if you want a romantic movie that could also remind you about the importance of living your life because it's too short, to treasure everyone around you because they could be gone any time and most importantly, to be grateful because you are healthy and you can love, this movie checks all the boxes. The adorable on-screen chemistry between Cole and Haley was the perfect anchor for this teen romance flick, while the supporting cast of Poe and Nurse Barbara (played by Kimberly Hébert Gregory) did their part to add some flavour to the story. Our only complaint? The storyline is a little bit too predictable and clichéd, and it's too similiar to the one we saw in 'The Fault In Our Stars'. Having said that, 'Five Feet Apart' is still a nice romantic film to watch with your significant other, but just be prepared for the waterworks. 'Five Feet Apart' is now open in cinemas nationwide on 21 March 2019. A Fairytale Dream Come True: Camila Cabello Has Been Cast As The Next Cinderella!